c. There are multiple CE/ST registrations on the same PAN in a State. In this case only 1 Provisional ID would be issued for the 1st registration in the alphabetical order provided any of the above 2 conditions are not met. 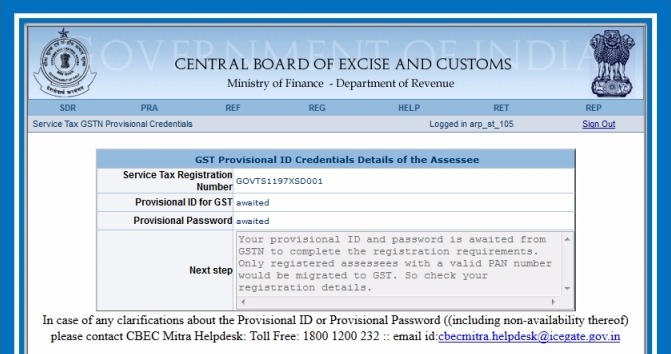 In case your Central Excise or Service Tax registration does not have a valid Income Tax PAN number, you need to obtain the PAN number and update your registration details on to ACES portal before you can be migrated to GST. 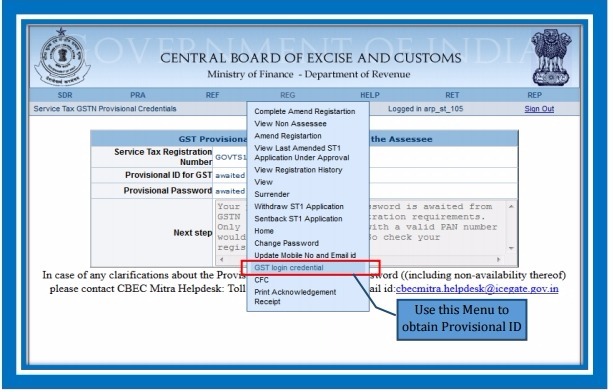 Further since in GST regime, one unique registration for a single PAN + State would be issued, the existing assessees would be given one provisional ID per State where place of business is registered in current CE and ST registrations. The remaining registrations in a State could be added as additional place of business in the details filled at the GSTN portal. The assessees need to use this Provisional ID and Password to logon to the GST Common Portal (https://www.gst.gov.in) where they would be required to fill and submit the Form 20 along with necessary supporting documents. 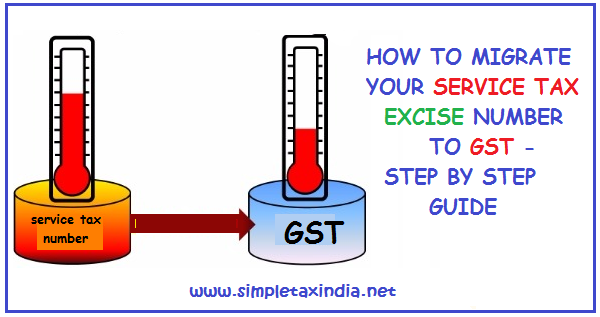 Subsequent pages provide the Steps to be followed by each assessee to migrate to GST. 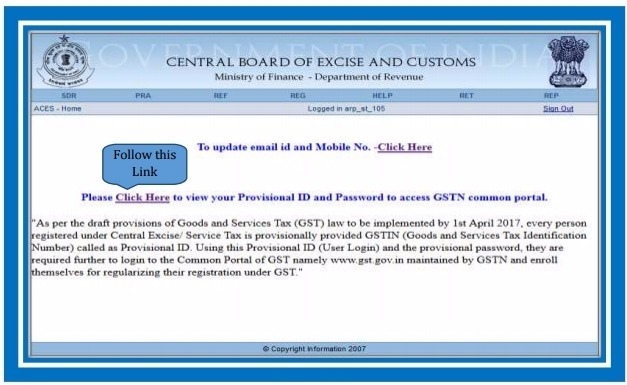 Once you have obtained the Provisional ID and Password, logon to the GST Common Portal (https://www.gst.gov.in) using this ID and Password. The GST Common Portal has made available a manual on how to fill the Form-20. It is available on www.gst.gov.in.